If you want to keep supporting our Cat Rescue & Sanctuary Please click here to visit our new Sanctuary Fundraiser Page Thank you! 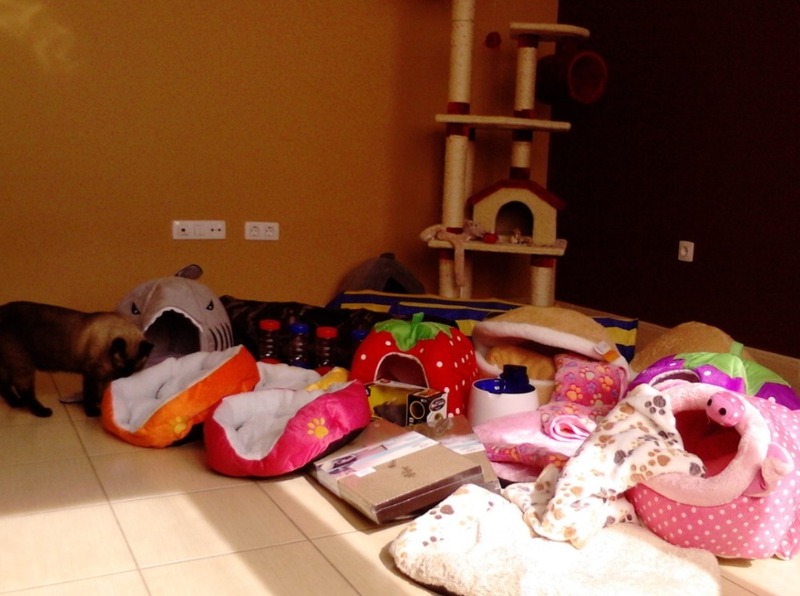 People from all over the world have helped us achieved the greatest goal of our Cat Shelter Project: We could raise 11K to relocate our rescues in a new home. 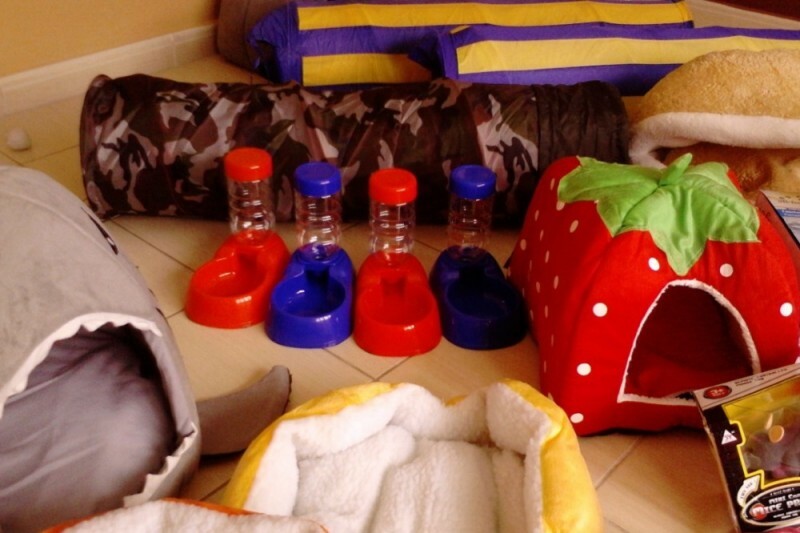 Now, our new cat shelter needs some supplies. 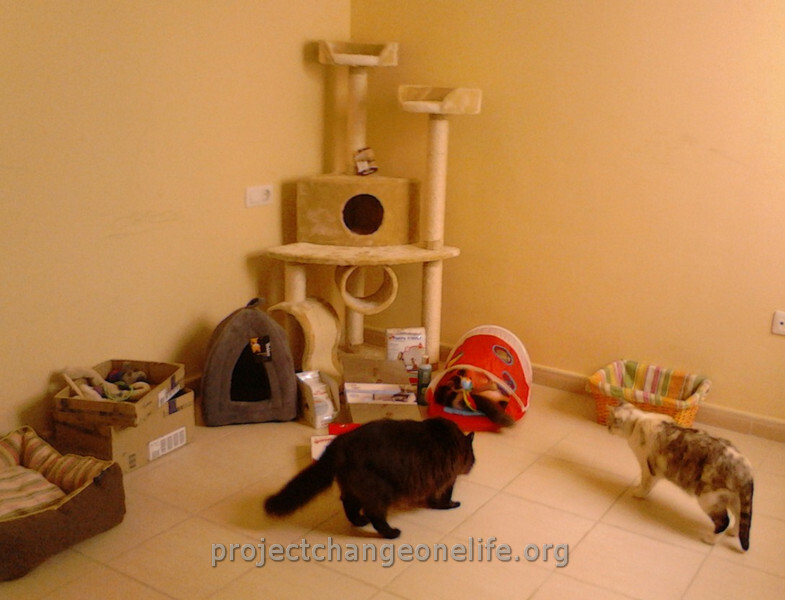 At our temporary cat shelter, the rescues have been living with the basics. They play with old supermarket carboard boxes and sleep in fruit plastic crates with old blankets or an old sunbed cushion we got from the trash. The shelter has barely any furniture: just a few old chairs that they use as scrathing poles, an old wrecked sofa bed and a couple of old desks. The time has come for THEM to have A REAL HOME as they should! with cozy cat beds, scratching poles, new litter boxes, rugs and blankets, water fountains, food dispensers, etc. Our goal is to provide them not just with a place to live but also some of the assets they lost when they were abandoned so they can start living with the dignity they deserve. This goal seems more attainable and faster to achieve if we work towards it TOGETHER. Let’s start this engine now ! Find below, a wishlist that will give you a glimpse of the supplies we’ll be needing. Great news everyone! First online order of supplies ever made for our fur babies is already here. Lots of stuff for their amusement and comfort at last. 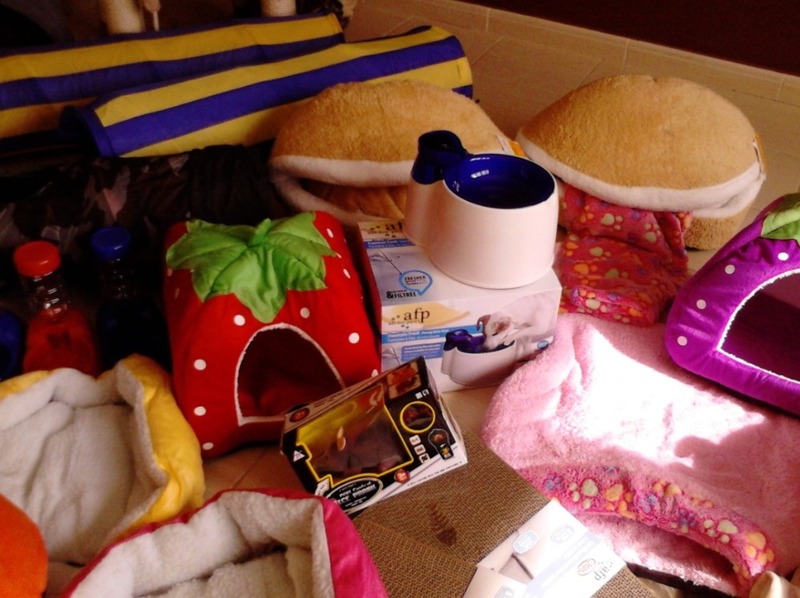 Finally, comfy beds, cozy cat caves and soft blankets to spend the upcoming winter in the warmth of a loving home with all those privileges they lost when they were left behind. We’d like to express our deepest gratitude to ALL of YOU who contributed to get yet another miracle done by supporting our New Cat Shelter Supplies fundraiser campaign. Not long ago, they used to play with supermarket boxes, had a few old chairs they used as scratching poles and old towels to sleep on. Basically, the only thing they had was a roof over their heads and even that was jeopardized. Their future was uncertain but you answered our call out for help and YOU changed all of that. You have changed their lives radically and thanks to YOU they now have a safe, warm and loving forever home with everything they need to be happy again. Great job everyone and work in progress! Once again, thank you kindly for your support and generosity, but most of all thank you for the LOVE behind every donation made to make it possible for them. 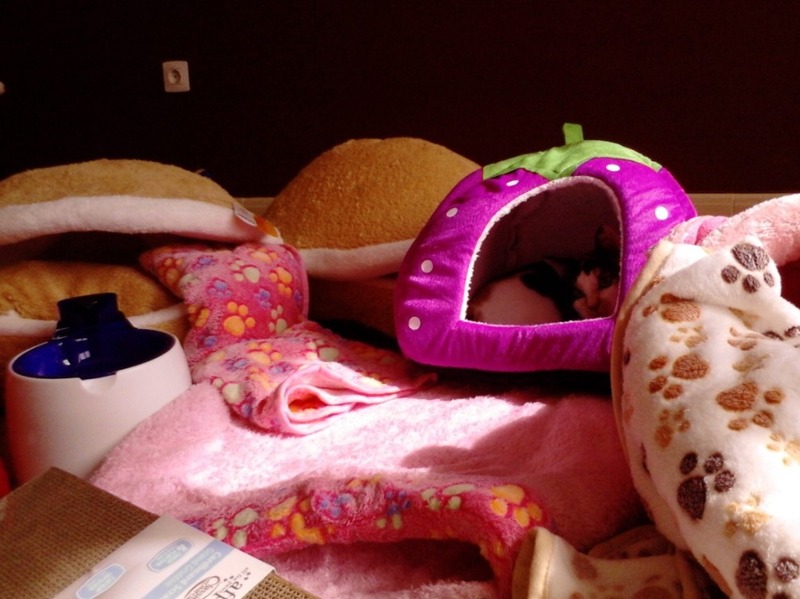 Comfy beds and cozy cat caves at last! Time to start enjoying THE GOOD LIFE! Our new cat shelter needed some enhancements to ensure the safety of our rescues. 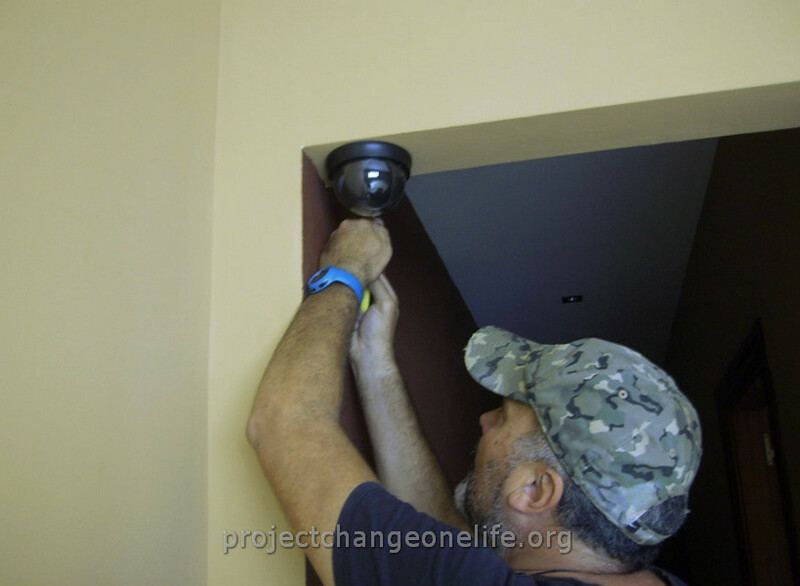 To stay a step ahead of intruders and vandals, we’ve installed a couple of indoor security cameras to stop them from trying to access the facilities. 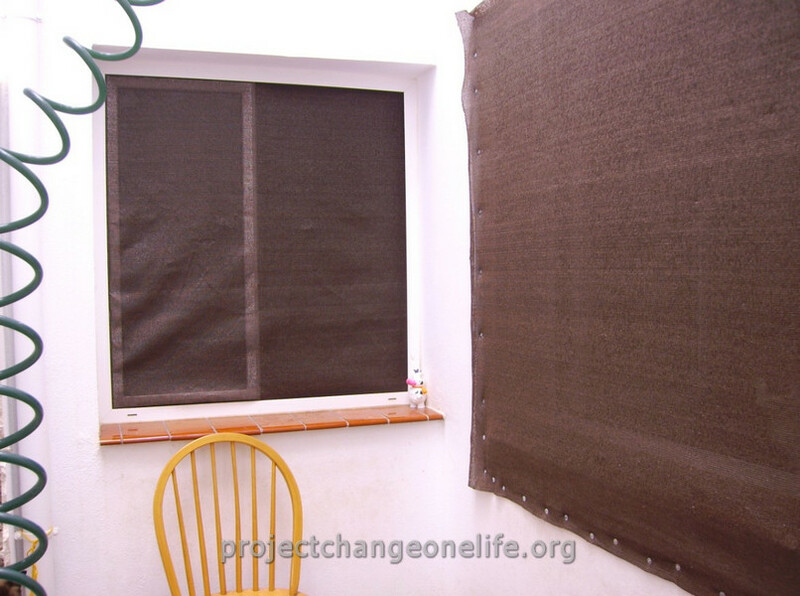 We’re also enhancing security and privacy by covering outdoor areas with tight-knit mesh safety nets to block the view from windows in the surrounding areas and protect rescues from stuff that could be thrown and be harmful. To make it one big happy place for all rescues, safety screens were installed in all windows that connect both facilities so that FeLV+ cats can safely interact with the rest of the cats (not FeLV infected) with no risk of direct contact. All funds will go towards food, litter, preventive vet care and other cat shelter expenses as well as food for feral cat colonies. Changing lives, one rescue at a time. We promised Maya we’d bring her in as soon as we had our new place ready and a promise must be kept! 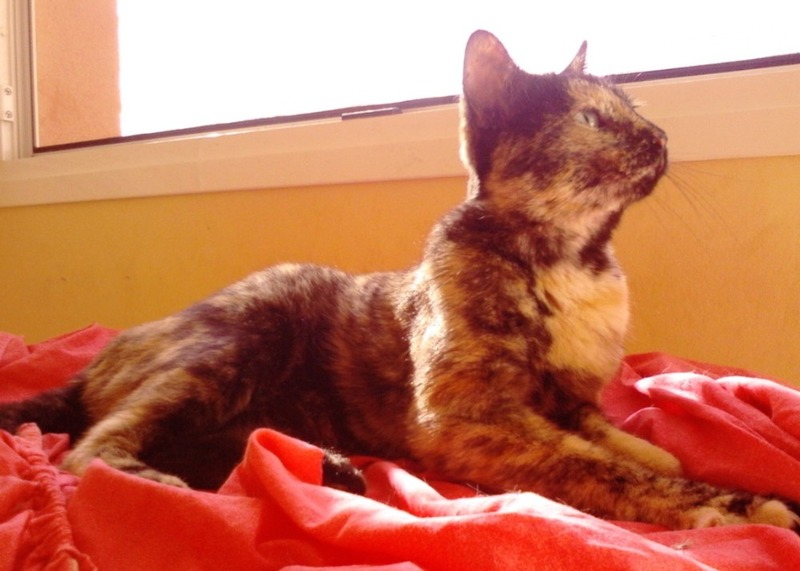 Welcome to the family Maya; a whole new life awaits for you in our new cat shelter. As all new rescues, Maya will be needing proper vet care: Spay surgery, FeLV/FIV test, vaccination, flea control treatment and deworming. No matter how much you think it will cost to save an animal, it will always cost a lot more. 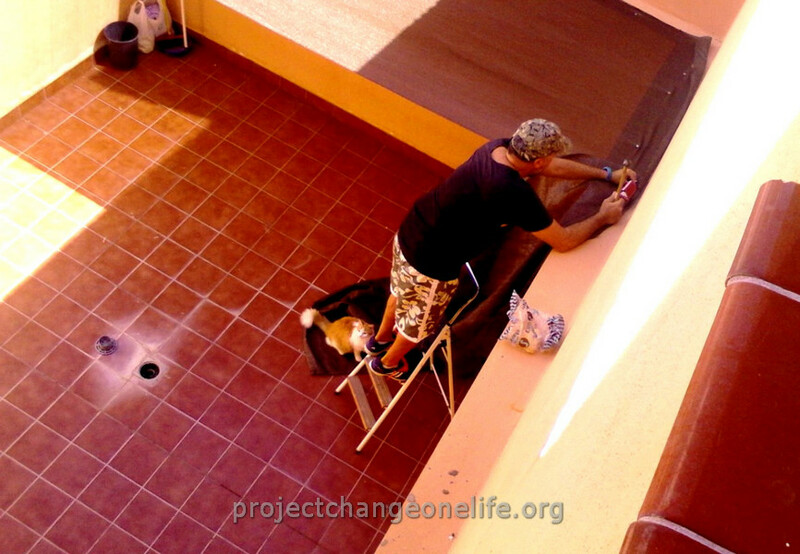 ‘Change One Life’ relies on supporter donations to meet the operating costs of the cat rescue & cat shelter. 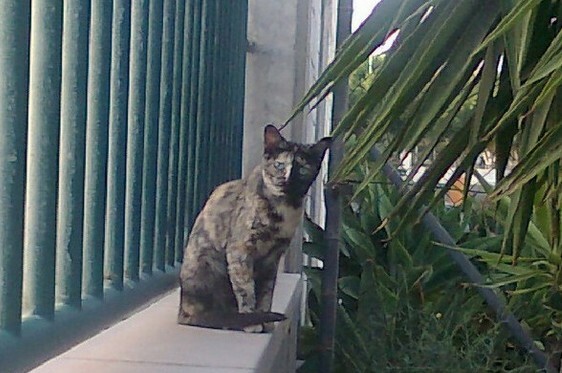 Our supporters play a key-role in our efforts to succesfuly help these homeless cats in need. Let’s keep on changing lives, one rescue at a time! Maya's rescue video - Click to watch! Beautiful Maya, feeling home already! Our new cat shelter future is shinning bright. 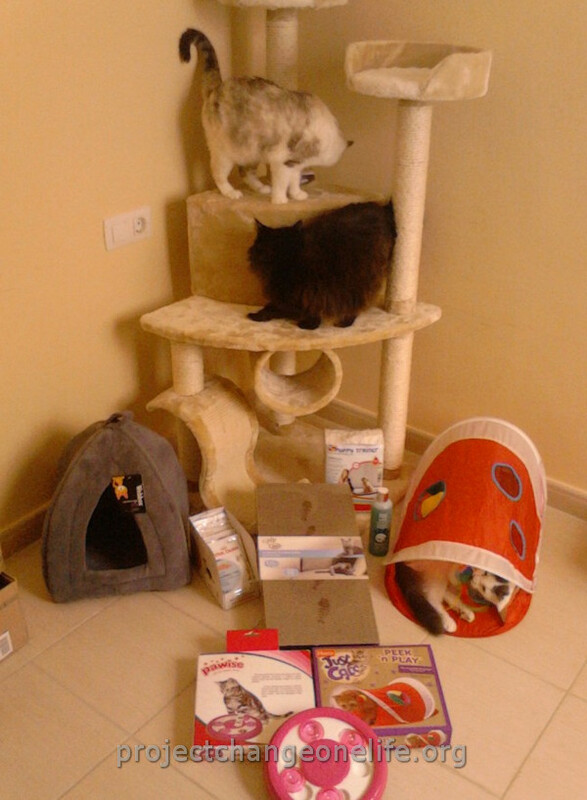 A little bit of everything for everyone: games, scratching boards, treats and a brand new cat condo. 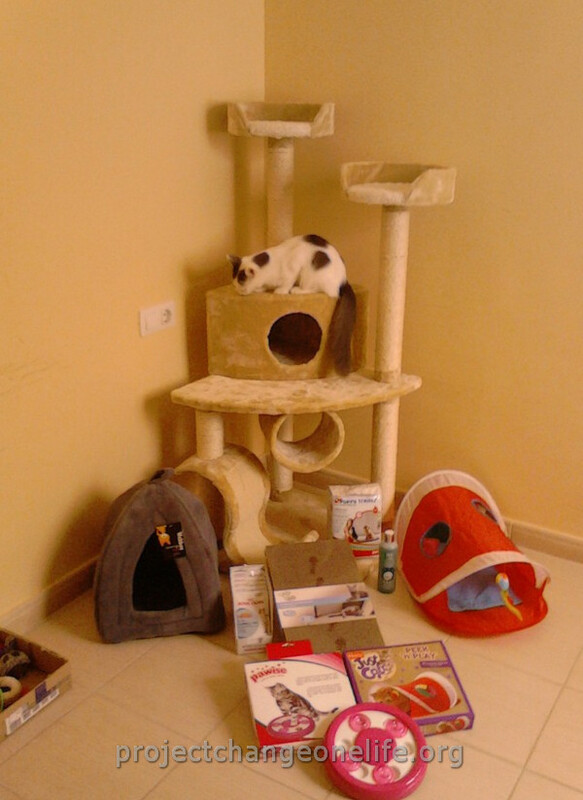 Both Christina Kühnle and Jo Davies made donations to contribute to one medium size cat condo each for the shelter so we used both donations to buy a large one instead. Tomorrow, October 2nd, it would have been Tommy’s 14th birthday so in his loving memory we’ll be placing the new cat condo in what will be Tommy’s Memorial Corner (Cat Room 1). More supplies, ordered online, will be arriving soon and then we have a BIG SURPRISE for everyone as the new cat shelter first webcam ever will be installed in one of our catrooms so that our supporters can start watching live the furbabies having fun … STAY TUNED! Thank you ALL for your support and for making this possible! TJ exploring new cat condo!